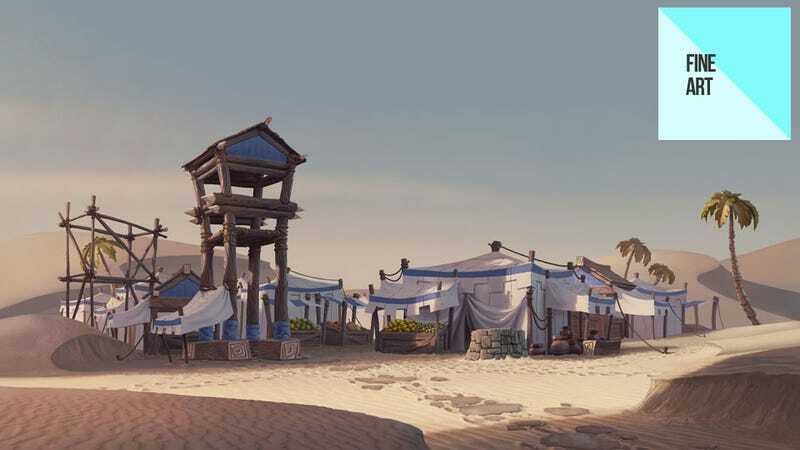 The fact the recently-released online game doesn't look like the old Age of Empires has upset some fans, and that's unavoidable. Still, it's a shame, as the new game looks good in its own right! Something these pieces, by Polish artist Szymon Biernacki, illustrate. An architect by training, Biernacki works these days as a "digital painter", providing things for Age of Empire Online like matte paintings and storyboards. Above you'll find some of Biernacki's work on AoE, while more of his other stuff can be found on his personal site.